Running a Care Home gets more complicated and challenging every year. With more regulation, legislation and competition to deal with, we know that care home owners want insurance to be simple and not tie up a great deal of their time. We understand the needs of the Care Home sector and can help you find the cover you need at a competitive premium. What is covered by Insurance for Care Homes? Talk to us about your Care Home, and we’ll work with you to understand your business and explain the cover that you need. 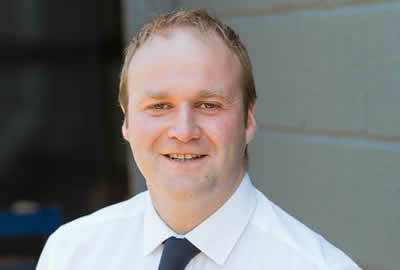 Stuart is an experienced Account Executive, having been with the company since 2007. Prior to that he worked in Care Homes for both Bupa and an independent home. This has given him a great deal of knowledge of the risks that Care Homes face and the service they need. With his understanding of Care Homes and CQC reports, Stuart can help not only with insurance, but also on Health & Safety consultancy to ensure regulatory compliance. We take a long-term view of your Care Home. Not only do we look to find you competitive insurance, but we can also help you ensure that your Health & Safety procedures are up to date and compliant. Our Health & Safety consultancy service will help you ensure that you are on the right side of Health & Safety legislation. They can even come up with a tailored plan for you to meet if you’ve been given specific areas to improve by the CQC (Care Quality Commission). This is a complex area, which can get more demanding every year. We can even act as your ‘competent person’ in the eyes of the HSE (Health & Safety Executive), which takes an element of risk away from you, giving you extra peace of mind. Why should you deal with JM Glendinning for your Care Home insurance? We’ve been around since 1972, so you can rest assured that we’re highly experienced in getting to know our clients and finding the right insurance for their needs. What’s more, as one of the UK’s top-75 Insurance Brokers, we have significant buying power with established insurers, which can help us find you competitive cover. If you’re unfortunate enough to need to make a claim, we’ll help you every step of the way thanks to our dedicated in-house claims team. They help you every step of the way so that you don’t need to deal directly with insurers, and help you get your Care Home back to normal following a claim.